Can we have a small dose of common sense here? Vaccination is a proven protocol that naturally boosts a persons immune system allowing it to fend of specified disease vectors. So far, so good. The substance of the treatment happens to be a foreign substance that will solicit a reaction and may easily be made problematic. You are introducing a medium for foreign agents. By any model, this protocol will occasionally work well and occasionally backfire and mostly not at all. It is a model that is best used in a true emergency rather than as a first choice and that is where it has been helpful to stop expansion in its tracks. You can accept failure in such circumstances. As a researcher who’s been tracking vaccine issues, including scientific hijinks, since the 1980s, I cannot express what a pleasure it is to report the following unfolding vaccine geo-political drama. This alleged conspiratorial action is about the fourth or fifth one to break into daylight. Others include: the Simpsonwood Meeting  (June 2000); the Danish/CDC-paid vaccine researcher Dr. Poul Thorson who has been indicted for defrauding the U.S. CDC regarding research he produced from 2000 to 2009 ; the William Thompson, PhD, CDC epidemiologist who admits that CDC researchers deliberately omitted, and even trashed, incriminating data sets regarding vaccines impact on young black males under 3 years of age ; and let’s not forget a whistleblower lawsuit in federal court in Philadelphia, PA wherein two former Merck & Company employees claim Merck falsified efficacy rates for many years for the mumps active in its MMR vaccine . It’s the Global Advisory Committee on Vaccine Safety within the World Health Organization. 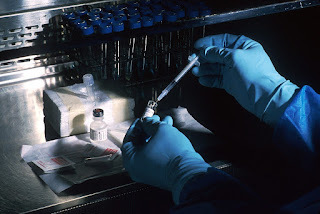 GACVS purportedly “determines causal relationships between vaccines and/or their components and adverse events attributed to them,” which its members obviously did not respect nor comply with relative to the HPV vaccine Gardasil® testimony alleged advance preparation collusion leading up to the hearing February 26, 2014, held under the auspices of the Japanese Ministry of Health, Labour & Welfare, in Japan. Allegedly remiss by its actions, GACVS members are alleged to have colluded to NOT“evaluate appropriate methodological and empirical research on any purported association between specific vaccines/vaccine components and adverse event(s)…” , which is documented in the 16-page open-letter-complaint to the General Director of WHO, Dr. Margaret Chan, filed by the Director of Milford Molecular Diagnostics Laboratory, Dr. Sin Hang Lee, MD. Furthermore, Dr. Lee was one of the medical researchers who testified on February 26, 2014 at the Ministry of Health hearing . Here’s my blog about that meeting. Fast forward to uncovering what’s developed in the world of scientific mischief. ‘Several papers have also been published pertaining to the finding of HPV L1 gene DNA fragments in clinical specimens following HPV vaccination [13,14]’ was apparently constructed for dissembling and designed to mislead, referring to the Tomljenovic and Shaw paper “Vaccination: Causal or Coincidental?” Pharmaceut Reg Affairs 2012, S12:001 about HPV L1 VLPs. If the facts don’t fit, how about just changing them? We are seeking your advice on someone who may be able to address the more detailed questions around HPV DNA – specifically the hypotheses you have address [sic] in your statement regarding the alleged role of aluminum binding to DNA fragments and subsequent effects. While the issue of whether the fragments constitute ‘contamination’ has been dealt with, your statement was the only one to address the more obscure alleged consequences of the presence of those fragments. The GACVS has not yet had a chance to delve into the DNA question. Now here’s where the wicket gets even stickier. So, what happens next is scientific “pie-in-the-sky,” I’d conjecture. Under pressure to issue some type of statement before the public hearing in Japan, Dr. Pless had to find a panel of experts to “declare the safety of aluminum bound to DNA fragments after being injected into humans.” Isn’t that like trying to prove the world is square and not a round globe? So what did they rely on? The only publication remotely related to the subject Pless could use, according to Lee, was Reference #16, a Clinical Immunization Safety Assessment (CISA) Network Technical Report titled “Review of a published report of cerebral vasculitis after vaccination with the Human Papillomavirus (HPV) Vaccine” dated November 9, 2012. There was a likely technical flaw in that report, though: That CDC report had unnamed authors, which should have disqualified it from being published as a valid scientific paper, in my opinion, but apparently not according to the CDC’s scientific wisdom. That document had a purpose—apparently to question the data on HPV-16 L1 particles, never HPV L1 gene DNA fragments because the Lee paper reporting the finding of HPV L1 gene DNA fragments (Lee, SH. Detection of human papillomavirus L1 gene DNA fragments in postmortem blood and spleen after Gardasil® vaccination—A case report. Advances in Bioscience and Biotechnology, 2012, 3, 1214-1224) – get this – was not published until December 27, 2012, one and a half months after the CISA Network Technical Report was issued. You have to give credit when credit is due: CDC realized it was in a “check-mate” position. It apparently was a sham report and, as Dr. Lee offers, was written by unnamed ghost writers based on phone conversations. Is that the way science is done? That apparently beats computer modeling. Dr. Pless was up a scientific tree, out on a limb and had no choice but to misbrand two unrelated articles and two unrelated chemicals in the vaccine Gardasil® in order for his ability to use the CISA Network Technical Repot on HPV-16 L1 particles to support his declaration of safety of HPV L1 gene DNA fragments after injection into humans. However, Dr. Lee offers that Pless had to make policy makers believe that “HPV-16 L1 particles” were synonymous to “HPV L1 gene DNA fragments” in chemistry. Lee says that once that was done, Pless apparently thought he could use the opinion on HPV-16 L1 particles to uphold the safety of HPV L1 gene DNA fragments bound to aluminum adjuvant. …We are seeking your advice on someone who may be able to address the more detailed questions around HPV DNA – specifically the hypotheses you have address [sic] in your statement regarding the alleged role of aluminum binding to DNA fragments and subsequent effects. While the issue of whether the fragments constitute “contamination” has been dealt with, your statement was the only one to address the more obscure alleged consequences of the presence of those fragments. The GACVS has not yet had a chance to delve into the DNA question. Dr. Petousis-Harris accepted the role and assignment of presenting at the Tokyo hearing. On February 18, 2014, after receiving Pless’s email, she wrote back and copied several others too. Take note of who they are. “Dear Rob Oh dear! I am so saddened to hear how extensive the impact of Lee, Shaw and Tomljenovic’s activities has become. I will certainly do anything I can to assist. [Is this a conspiracy/collusion confirmed in writing?] To the best of my knowledge the rebuttal on our website is the only attempt to address this particular issue which Shaw and Lee presented at a coronal enquiry here. Placing the rebuttal in the public domain was the only means of providing the information to the crown representatives involved in that process at the 11th hour. Prof David Gorsky has written prolifically on some of the experiments in his science blog over the past few years so I assume he has also given the material some thought. When an expert witness isn’t an expert witness. Dr. Petousis-Harris’s email above obviously indicates that she’s out of her realm of expertise and that she had absolutely no idea or clue as to what Pless wanted her to address at the February 26, 2014 public hearing in Japan. [OMG!] Dr. Lee points out that she apparently and mistakenly assumed she was being asked to comment on “the VLP tightly bound to the adjuvant.” Now here’s an expert witness’s conundrum: Petousis-Harris did not know that VLP is a protein, which cannot be tightly bound to the aluminum adjuvant as the DNA molecules can—so says Dr. Lee. Holy moly! What an expert witness—but that’s the way consensus science apparently is done, folks! It would seem that Petousis-Harris is now in the same position as the “dog that caught the bus.” What do I do now, since my expertise regarding HPV L1 gene DNA fragments is writing on social media blogs and not in peer-review journals? Unbelievable at it may sound, Dr. Helen Petousis-Harris was selected as the spokesperson for the Tokyo public hearing. However, someone attached a ‘leash’ on to her PowerPoint presentation, which had to be reviewed by the group before the hearing to ensure she presented the proper message. However, not everyone was satisfied. Dr. Nabae was concerned about one of the PP slides which stated “immune activation on uptake of HPV vaccine does not include an increase of inflammatory factors (incl TNF) even in vaccinees with large injection site reactions at time of local inflammation” because such claim contradicted the data presented by another expert at their previous meeting which in fact confirmed that cytokines following vaccines increased particularly at injection site after Cervarix® compared to other vaccines (including tumor necrosis factor –TNF), per Dr. Lee! Dr. Nabae also deleted some questionable “Japanese Wildcard” data from the PowerPoint slides to be presented at the hearing. What are Japanese Wildcard data? Does the U.S. CDC/FDA also have wildcard data? How about Big Pharma? I guess they probably may have some Jokercard data too. I find Dr Petousis-Harris blog  which was quoted as Ref. 17 by Dr Pless in the GACVS statement in support of the declaration of HPV vaccination safety, to be more concerned with character assassination than in disputing the science of HPV L1 gene DNA fragments in Gardasil® or in postmortem materials. Dr. Lee asserts that Dr. Petousis-Harris used her PhD thesis as the authoritative research to support her theory of “No elevation of any cytokine associated with reactogenicity.” Is that how consensus, science-based-medicine is pushed in journals and on to healthcare consumers regarding vaccinology? The emails – and there are close to 236 pages of them, many with lots of redactions – confirm the ongoing collusion among various individuals at WHO, GACVS, and vaccine researchers in other countries’ health agencies. I always have to wonder what’s been redacted and why they wouldn’t want anyone to see redactions. Good question? The above is as patently obvious as it can be, as to what goes on regarding vaccine science that ‘validates’ toxic vaccines ‘safety’, which are mandated to be given to neonates, infants, toddlers, teens, adults and senior citizens. Vaccines harm and even kill [7,8], especially the HPV vaccines given to pre-teenage boys and girls . Healthcare consumers need to become “proactive,” as the saying goes. May I suggest that readers send this information to your members of the U.S. Congress; yourindividual states legislators in your state capitols; your public health agency department head for your state; your local media—radio, TV, and newspapers; and demand prosecution for scientific/medical fraud crimes committed against children, in particular, in the name of sham vaccine science. You can use this information and the reference links below as documentable proof of what’s going on that no one is questioning and holding accountable.